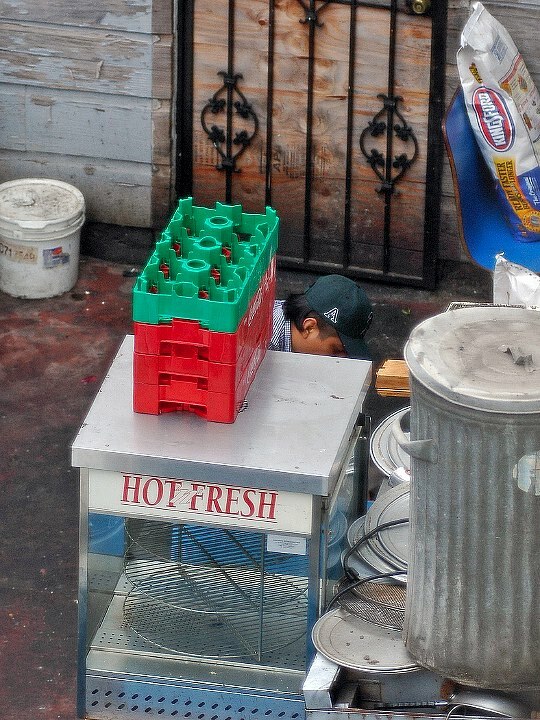 I live just above the backyard of the Yucatasia restaurant. These guys are absolutely disgusting. THEY CUT THE MEAT ON THE GROUND IN THE MIDDLE OF THE GARBAGE! YUCK!!! I filed a complaint with the San Francisco Department of Public Health on September 28th, 2006 and posted warnings everywhere Yucatasia was mentioned: Yelp.com, Chowhound, SFGate and 7x7sf - although Chowhound kept deleting my messages without explanation. I'm perfectly legit. My name is Pierre Saslawsky, I'm a dual citizen French/American and, above all, a proud San Franciscan. My email address is available on the Contact page of my web site at http://www.photobiker.com and the name and phone number of the Department of Public Health investigator in charge of the case are available upon request. 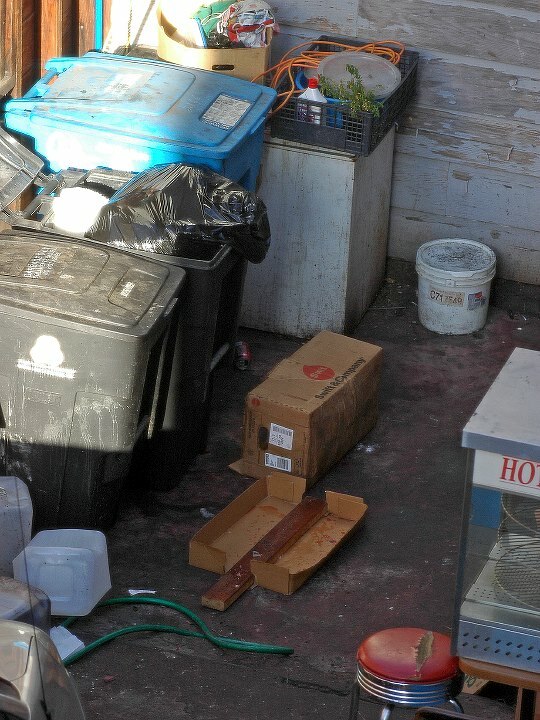 After having seen what I saw, I wish that if I was eating at such a restaurant and some neighbors knew what the owners and the cooks were doing in the backyard, they would also report them to Health Services and expose their practices. Customers have the right to know. 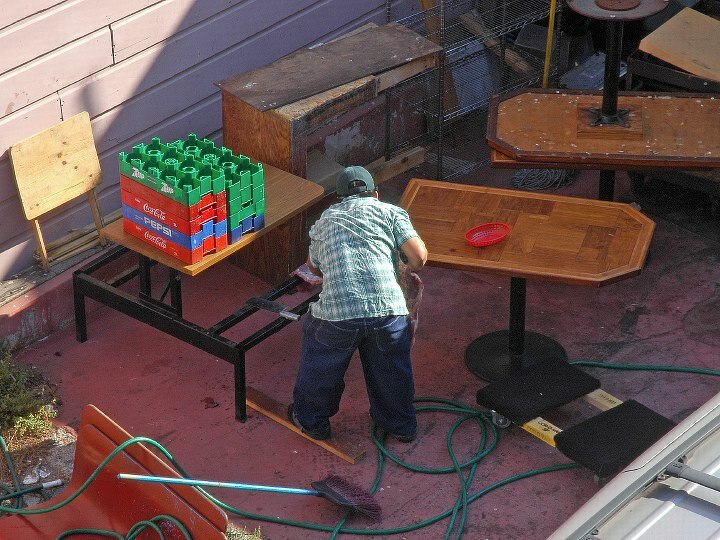 The worker has his foot on the piece of wood that he's going to use as cutting board. The meat is in place, ready to be cut directly on the ground. 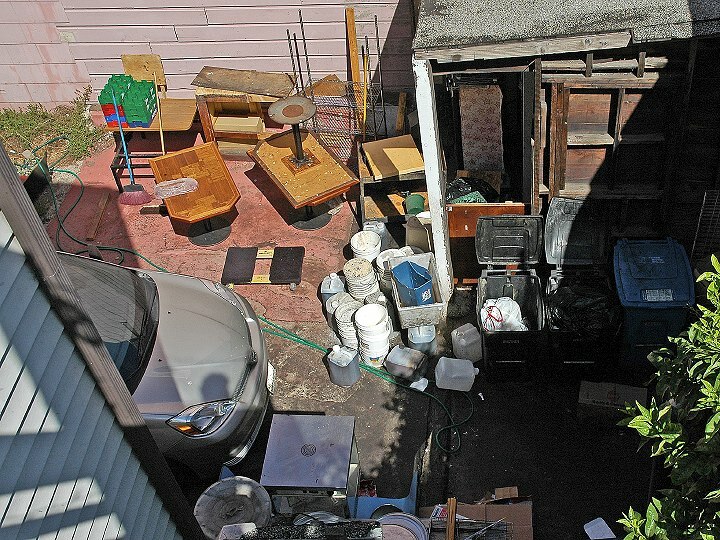 Overall view of the backyard. The "cutting board" stays there in the blood. It's never picked up, nor washed. 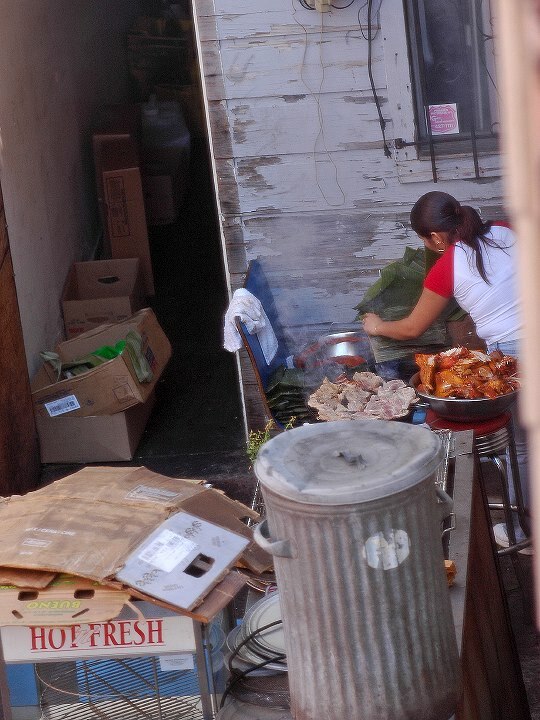 The lady is cooking on the outside barbecue, a few feet away from the trash. 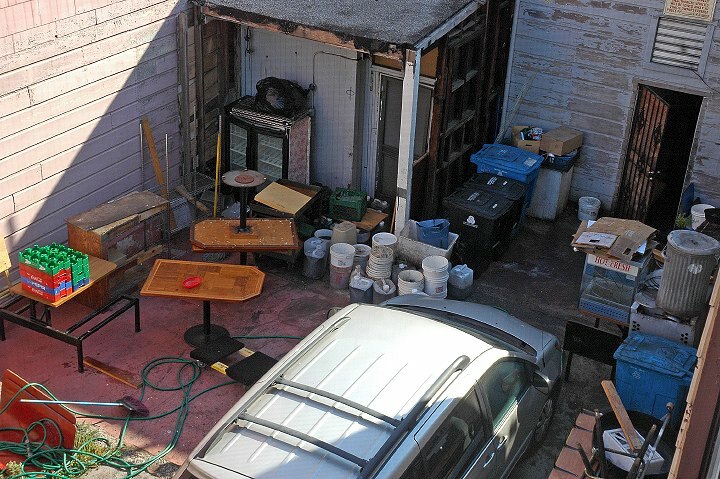 Overall view of the "outdoor kitchen" and trash-bins. 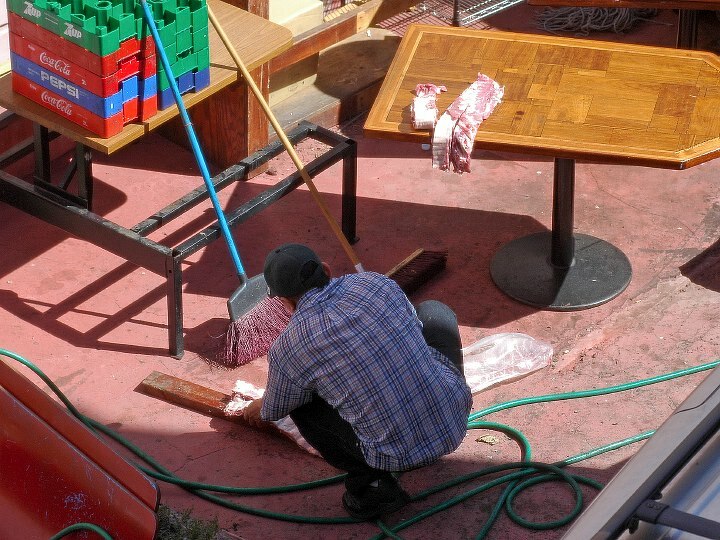 Another shot of the worker laying the meat on the ground to cut it -- a daily ritual, as far as I can tell. Another overall view of the backyard. Again, the "cutting board" stays in place, not washed. 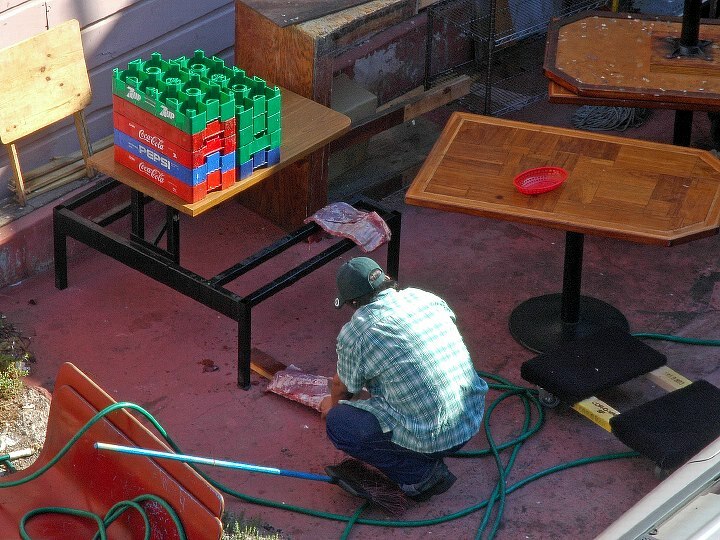 The worker even forgot the plastic bag full of blood on the table outside. Flies swarm around. 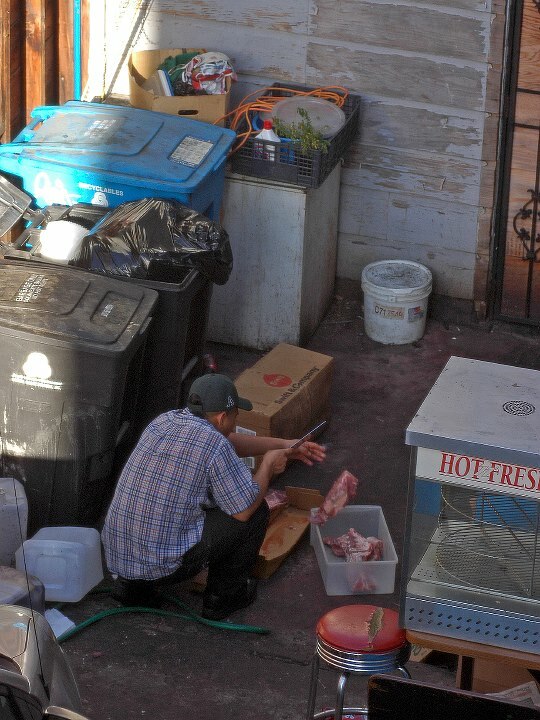 This time, the worker cuts the meat on a piece of cardboard laying just next to the trash-bins. Overall view of the "work surface" after the worker left. 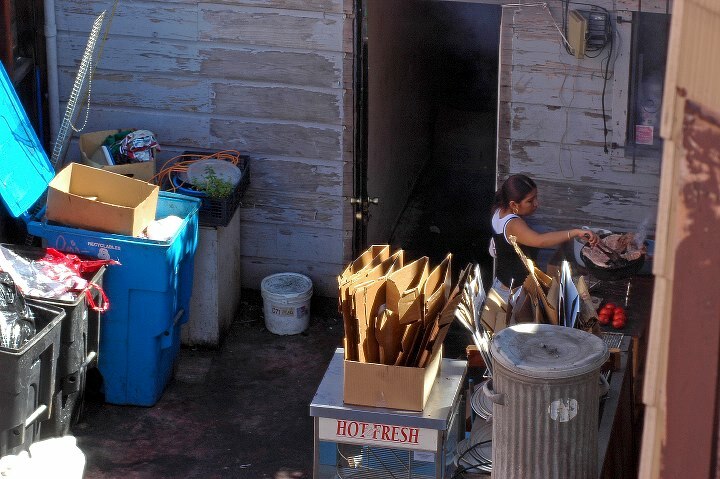 The lady cooks near the trash. The smoke and smell come into my apartment almost everyday. 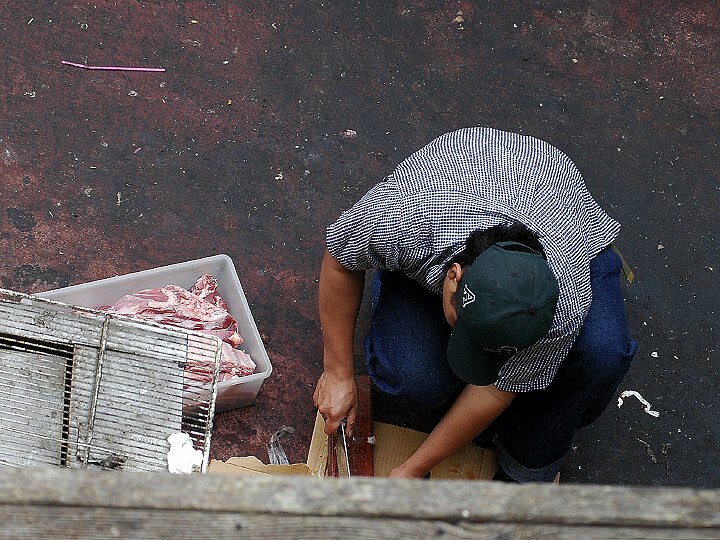 This time the worker cuts the meat on the ground near the barbecue. 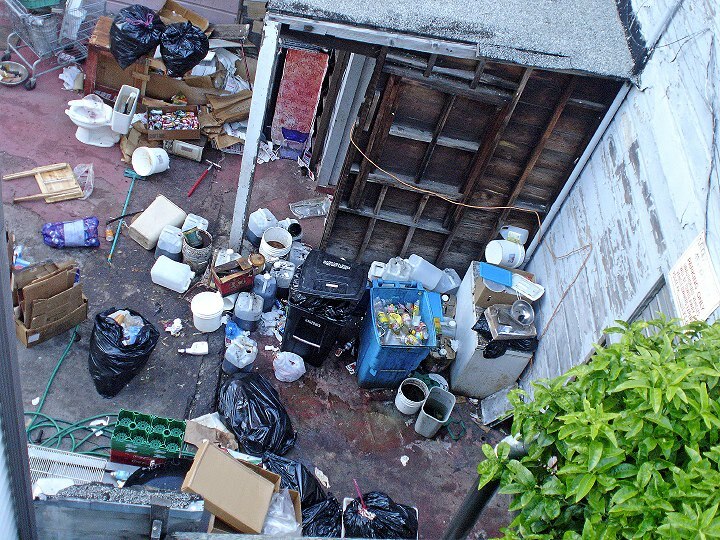 Overall view of the backyard 3 months ago: open bins and trash bags everywhere, containers full of old oil, fluids oozing from the trash, even an old toilet bowl! It looks like a dump field. 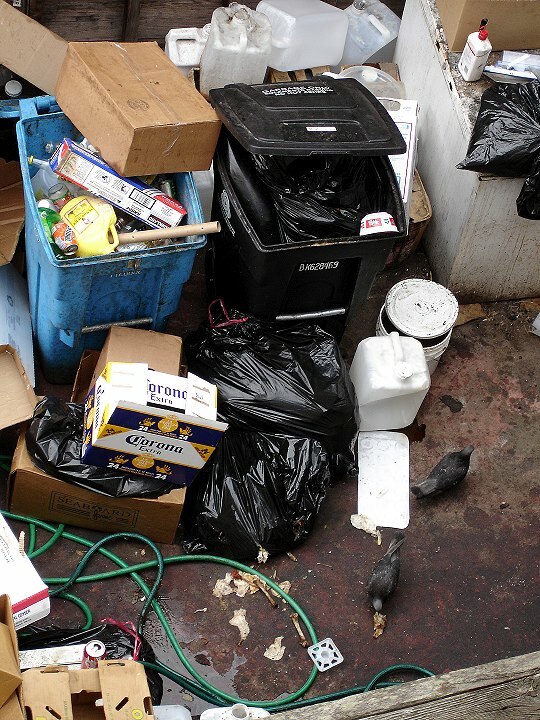 After 2 complaints, they cleaned up a bit but it's still disgusting. Lots of activity in the backyard in the past week. They got rid of the trash, picked up the rubbish, scrapped the junk, and then brushed and even washed! 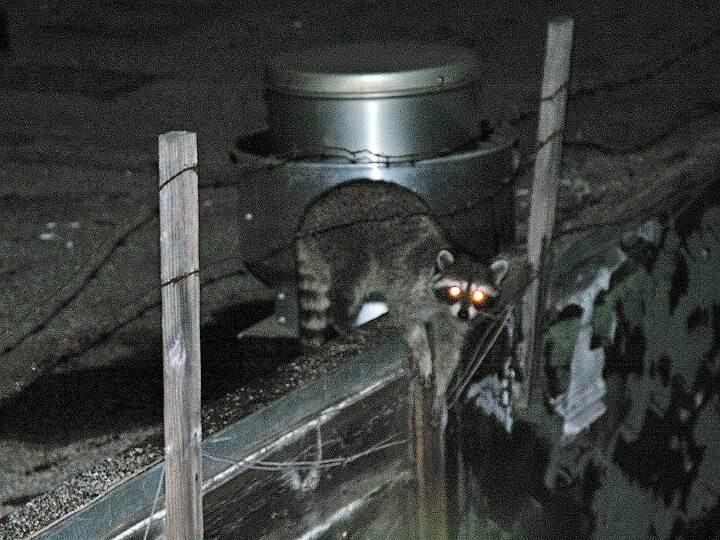 It was panic time for the rats: they were all over the place, fleeing the neighborhood, chased by the cats. So no more cooking, no more meat cutting on the concrete outside. Yeah! Yeepee! But are these really good news? I thought the restaurant would be closed down for a little while, like they do to liquor stores that sell alcohol to minors. But no... They're still open for business. Apparently they'll get away with it with just a good scrub. "Whatever happens at Yucatasia stays at Yucatasia..."